Seems to me they are crunching numbers, and if they think the only votes outstanding are from rural pockets of Colorado, that's not a good sign for Bennet. On the other hand, parts of Adams county are still out and that's got a bigger population and more Democrats than pockets of rural Colorado. Looks like this race won't be resolved before morning. 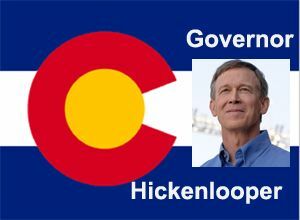 The AP and local news stations have called the Colorado Governor's race for Denver's popular Mayor John Hickenlooper. Tom Tancredo was 20 points behind, and Republican Dan Maes is in the single digits. 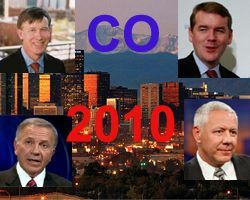 This bodes well for Senator Bennet.